Microsoft is holding a Surface Press Event early next month where it is expected to offer refresh models for its Surface Laptop, a redesign of the Surface Pro, an undated Surface Studio, and perhaps a closer look at the Surface Hub 2. These will be the first new members of the Surface family since July, when we saw the launch of the 10-inch Surface Go. 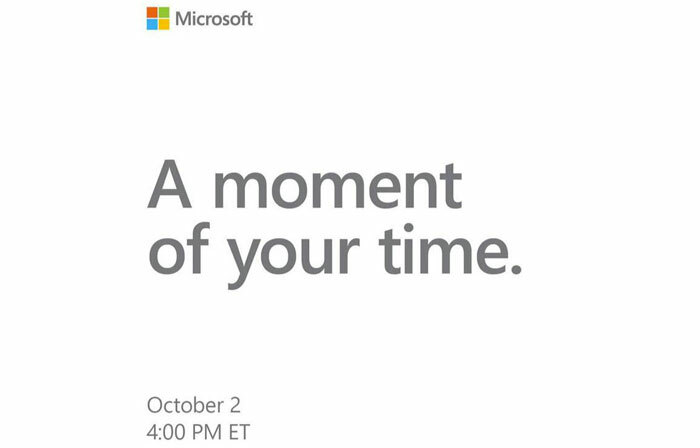 Next month's Surface Press Event asks for 'A moment of your time' and is scheduled for 4pm ET (9pm UK time), on 2nd October. The event takes place in New York. As well as the hardware mentioned in the intro, it is thought that Microsoft will introduce new and upcoming Windows 10 software features, especially closer mobile integration. Thurrott reports that a new Surface Laptop is on the way, and a new Surface Pro, with both devices offered in a fetching black finish. 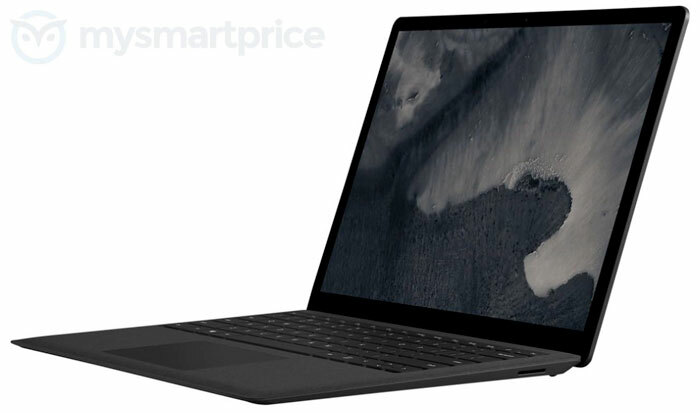 We are reminded that the original Surface Pro came with a black option but the new Surface Laptop 2 with its choice of fabric and VaporMg materials offers a very dense black which contrasts with the chrome Microsoft logo very nicely. Technical details about the Surface Laptop 2 are vague right now. Likely changes include the use of Intel's latest processors, and a switch to USB Type-C connectors. Hardly earth-shattering. There are more images available, and colour alternatives to see, at MySmartPrice. If you were attracted to the Surface Go released earlier this year but decided to wait for an LTE enabled version of this very portable convertible then you should be in luck. Such a device is tipped for launch at the event on October. On the topic of big hardware launches, we also have the Google Pixel 3 event in New York on 9th October to look forward to. Still going with that crappy unservicable glued-on car carpet keyboard surface, I see. That isn't necessarily a recommendation! 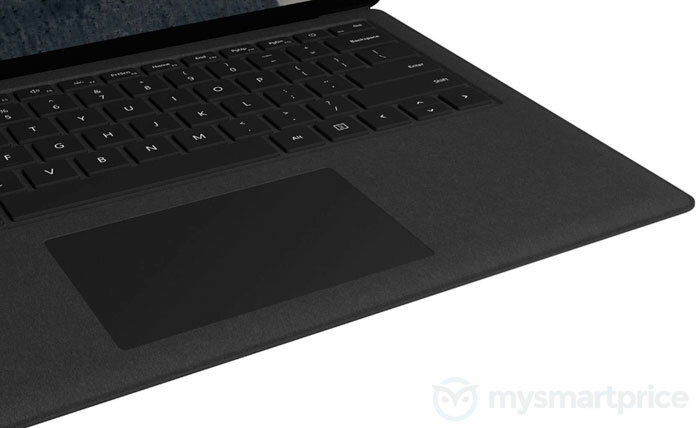 Will be curious what else (if anything) they change on the new Surface Pros - i've long hoped they would relaunch their “power cover” which included a second battery but not really seen any rumours about it. I do typically get really good battery from my 12 month old SP i7 but it can be as short as 3 hours if mostly using it for hearthstone or other intensive tasks so it would be a useful addition. Should be interesting to take a look at the black ones in the flesh if they have them at Future Decoded this year too. A Surface Book with USB-C and Thunderbolt is what I'm after. I'll keep waiting!